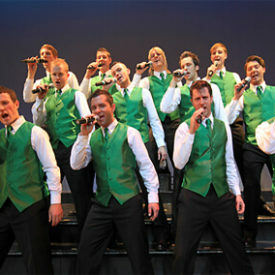 Good looks, celtic charm and magnificent voices have in 2007 taken packed audiences in America and Europe by storm. Their individual voices would be enough to hold their own on any concert stage, but when you combine 12 of the finest, the result is simply breathtaking. 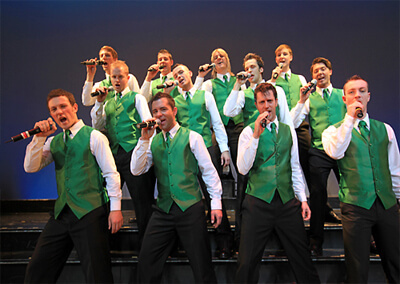 Their repertoire includes many priceless gems both classical and contemporary and features all your favourite Irish songs, as well as special tributes to the Beatles, and Barry Manilow. Songs include; You Raise Me Up, O Sole Mio, That’s Life, Nessun Dorma, Danny Boy, Imagine, Hey Jude, and many more!